It’s fair to say there’s no shortage of music apps to help you blast out your digital music collection. But Turnplay for iPad is well worth your attention, as it brings the classic interactivity of playing a vinyl record to life on your tablet. Firstly, it’s worth noting there are other similar apps, such as Vinyl Tap, AirVinyl and My Grooves, but Turnplay is a worthy addition to the slew of turntable simulation apps out there, offering an incredibly authentic and beautiful way to listen to your tunes. 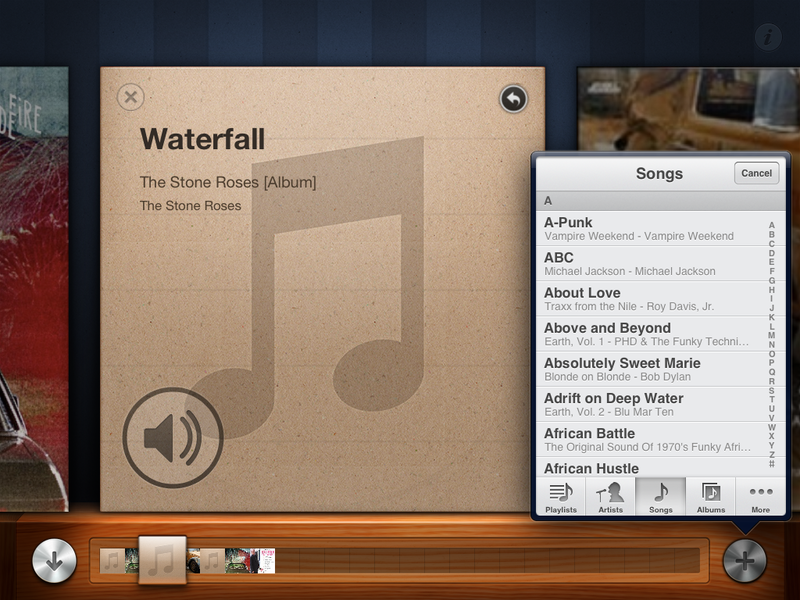 The app automatically reels in any music you have on your iPad, alongside its artwork. When you first launch the app, you’ll want to hit the little music symbol at the top left to access your library of tunes, then hit the ‘+’ symbol at the bottom right to browse by playlists, artists, albums or songs. The vinyl will then be pulled from its sleeve and magically placed on the turntable. You’ll have no difficulty figuring out how the app works, but the real value in Turnplay is the realism associated with all your interactions – this includes the sounds (scratching, slowing down etc), flickering lights, 33-45 RPM switches, and all the rest. 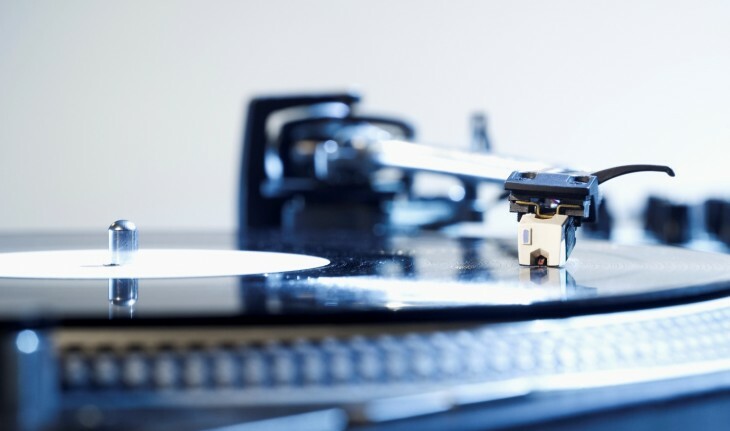 You can lift the arm, as with a genuine vinyl, and place it on a specific part of the song. 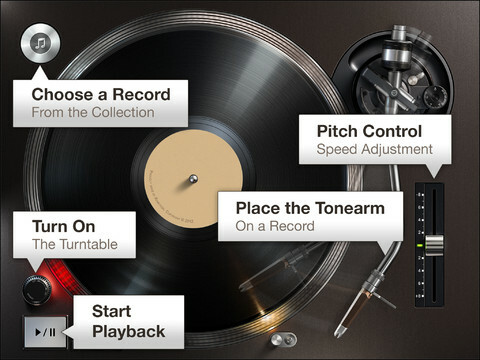 You can even manually rewind the track to get that lovely garbled audio you get when scratching a real record. The app actually shows you the time-stamp where it will start playing from as you hover over a specific part of the track, and there’s even a +/- 8 pitch control which lets you control the speed the record plays at. The one downside to the app is that you can’t seem to just select an album and let it play in its entirety. You add songs to a roster which you can build up into a playlist-style compendium. Also, it won’t let you play a song that’s less than a minute in duration, or longer than 22 minutes…but most music fits within those limitations. There’s nothing more to say really…Turnplay’s a really nice app to use, but it will set you back $1.99 or your local currency equivalent.